Top E263 Calcium Acetate supplier and manufacturer in China. 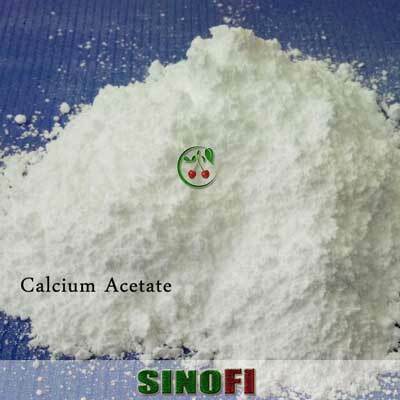 Sinofi provide high quality Calcium Acetate for sale. Calcium Acetate powder is a food ingredient used as a synthetic preservative in food and pharmaceutical industries. It is calcium salt of acetic acid. Calcium Acetate, also named calcium diacetate or acetate of lime, is E263 food additive in EU. As a professional Calcium Acetate supplier and manufacturer, we hold extensive expertise in the application of E263 Calcium Acetate monohydrate powder in food and pharmaceutical industries. 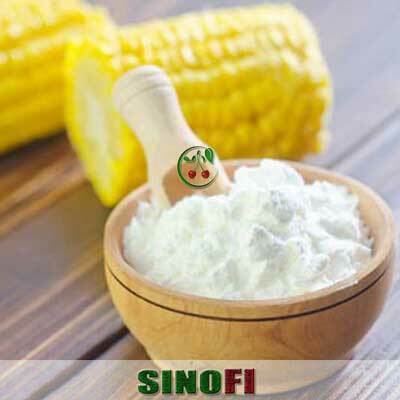 Sinofi is your first choice to buy Calcium Acetate powder. Any question on Calcium Acetate price and specification, contact us via [email protected], we will reply within one working day. Calcium Acetate (E263, Calcium Diacetate or Acetate of Lime) is a white odorless powder with a slight bitter taste. Calcium Acetate is soluble in water and slightly soluble in alcohol while insoluble in acetone, dehydrated alcohol and benzene. 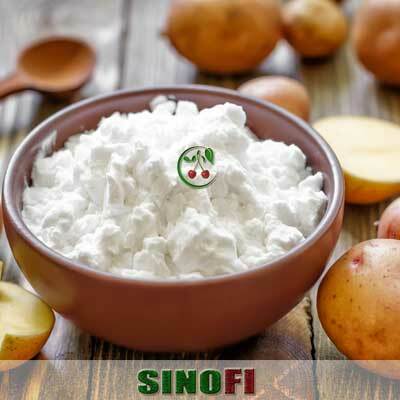 Sinofi is a reliable Calcium Acetate supplier and manufacturer in China. We can supply high quality Calcium Acetate for sale in foods at a competitive Calcium Acetate price. Sinofi Calcium Acetate is inspected by SGS prior to shipment. Combined with the advanced production process this gives you the assurance you need when purchasing Calcium Acetate monohydrate powder. Preservative, Cosmetics, Feed, Pharmaceutical, Antimicrobial, Antifungal, Antibacterial, Firming Agent, pH Control Agent, Processing Aid, Sequestrant, Stabilizer, Texturizer, Food Thickener, Sauces, Baking Food, Food Colors, Cake Mixes, Fillings, Gelatins, Syrups, Toppings, Packing Materials. 1. What’s your payment term of E263 Calcium Acetate monohydrate powder? T/T or LC. If you want to buy Calcium Acetate monohydrate powder at a favorable Calcium Acetate price, please feel free to contact us. 2. 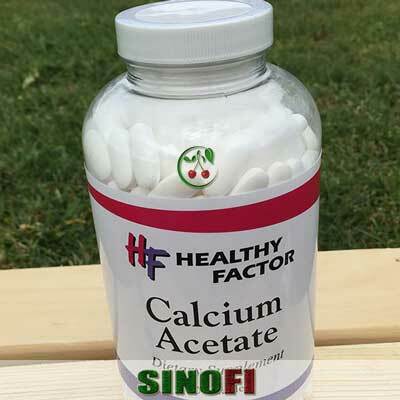 Is Sinofi a Calcium Acetate supplier and manufacturer? Yes, we are a professional E263 Calcium Acetate supplier and manufacturer. We provide high quality Calcium Acetate for sale in pharmaceutical, cosmetics and foods. 3. What is your Min Order Quantity of E263 Calcium Acetate powder? As for E263 Calcium Acetate powder, MOQ is 500Kg. We will make an attractive discount in Calcium Acetate price in terms of larger orders. 4. What is the Calcium Acetate price? 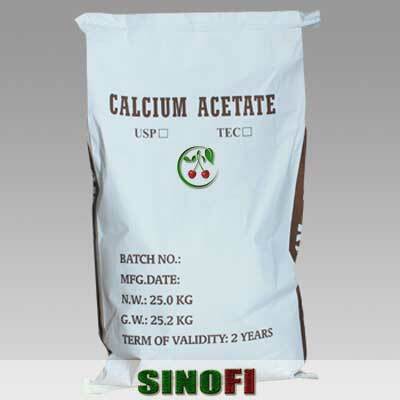 Sinofi is a leading Calcium Acetate supplier and manufacturer. We continously monitor the E263 Calcium Acetate price trend in market and provide you with the best Calcium Acetate price. 5. What’s your delivery time for E263 Calcium Acetate monohydrate? Normally we will arrange the shipment in 7-15 days. 6. Where to buy Calcium Acetate powder? We provide high quality E263 Calcium Acetate for sale in pharmaceutical, cosmetics and food industries. Our loading ports include Shanghai, Qingdao and Tianjin. 7. What about your packaging for our E263 Calcium Acetate buy? Normally 25Kg /bag or carton drum. As a leading E263 Calcium Acetate supplier and manufacturer, we can change the package in terms of your requirements. 8. What documents can you provide for Calcium Acetate monohydrate powder? 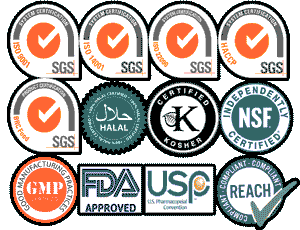 We provide packing list, COA, commerical invoice, bill of loading, health and origin certificates and other documents. Sinofi is your first choice to buy Calcium Acetate monohydrate powder at a low E263 Calcium Acetate price. Food Ingredients supplied and manufactured by Sinofi are strictly controlled to surpass the customer's quality standards or industry standards. 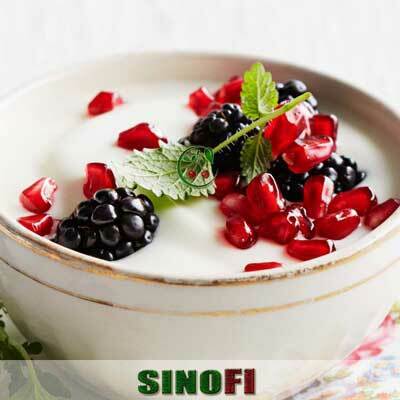 Sinofi struggles to provide healthy food supply and reasonable prices for global food suppliers and manufacturers. 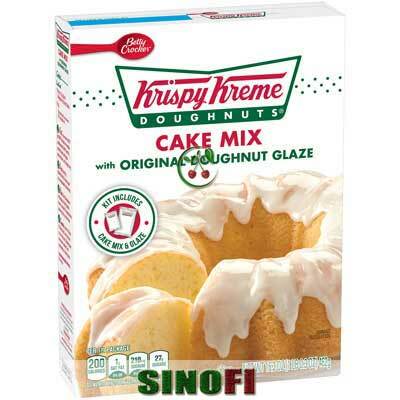 Copyright © 2007-2018 Sinofi Ingredients All rights Reserved. Sinofi is a subsidiary of Shanghai Bichain Industrial Chemical.